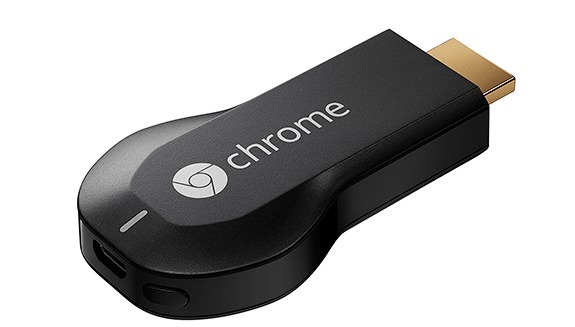 Chromecast is a small device that can be attached to your TV to cast the tabs from your laptop or phone in it. This is really wonderful to be able to view the contents of our browser in the large screen of our living room television. The latest models of TV with HDMI ports supports this. 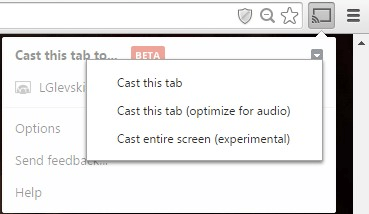 Earlier we required an extension installed for casting from your browser. But now with the latest Google Chrome for windows, we can enable casting without the support of any extensions. For this, we need to enable this feature in the Google Chrome browser. This feature will not be enabled by default. So we need to enable it manually to enable casting without any extensions. For this just follow these steps. 1.Launch your Google Chrome browser. Now in the address bar type ‘chrome://flags/#media-router‘ and press Enter. 2.Now from the drop-down menu of Enable Media Router select ‘ Enabled’. 3.Now Relaunch the browser to see the effects of the change. For casting the web pages onto a casting device like your television you must have the chromecast device attached to your casting device.Then from your browser, you can enable casting by following any of these methods. 1.You will now have a cast button on the toolbar of your browser. You can click on it and select the required option to start casting. On clicking this button, you will get different options for casting from which you can select the suitable one. 2.Another way to cast your tabs is to right click on any part in your browser. 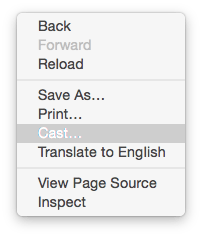 Then from the menu that appears ,select cast option. Now you can view your web pages on your casting device. Thus you can enjoy the videos or any other contents fro your web pages with an enhanced clarity by casting onto a device with a larger screen. Enabling casting from your browser allows easier and fast access to users . 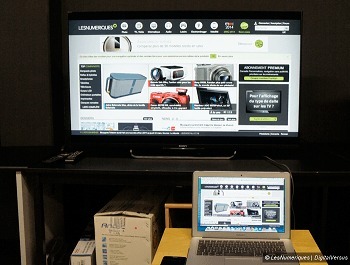 Users can now easily cast the contents from web pages onto their television screen.